The 2018 review class for the Virginia Certified Horticulturist, sponsored by Central Virginia Nursery & Landscape Association (CVNLA), is now open for registration. The review class helps prepare employees for the VCH exam and promotes higher standards within our industry. *NOTE: Class discount for CVNLA member; not VNLA member; separate classifications. CVNLA sponsors class and VNLA sponsors exam. Fees should be made payable to VNLA. 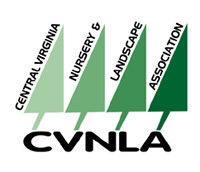 Help support your local organization, become a member of the Central Virginia Nursery & Landscape Association. January 22 to March 19, 2018, 6:30 pm to 9:30 pm. All on Monday nights except February 20 due to county holiday. Upon receipt of your class registration or VCH manual order, you will be given password access to the VNLA Virginia Certified Horticulturist online review guide which includes plant ID photos and practice quizzes.